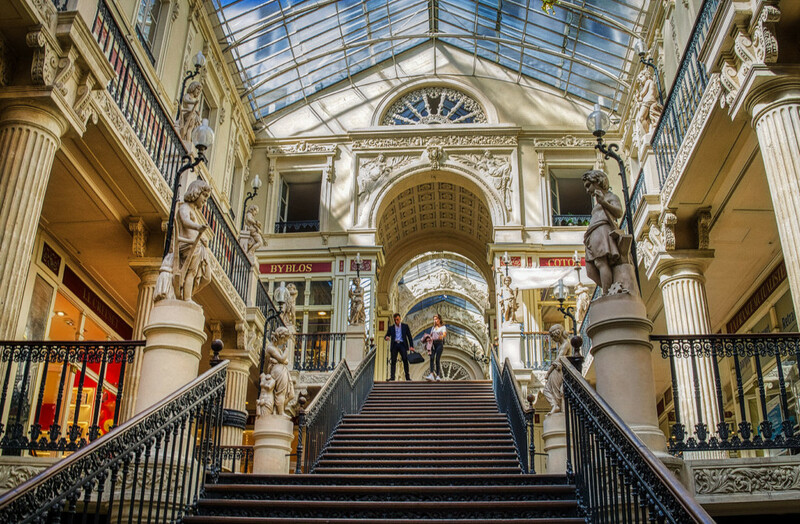 The architecture reminds me of a Napoleonic-era country castle, instead of a shopping mall. The name is Le Passage Pommeraye. I had enough time to shoot photos; my wife was traveling in the small streets of the city. I positioned myself at the entrance, at the staircase, and was able to photograph the magnificent round arches on the first floor.